Shelf life of product is 4 months. This kaju cornflakes from the house of bikaner bhujia bhandar from Rajasthan. 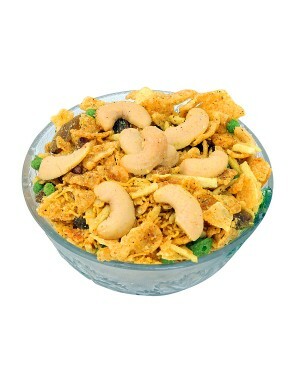 Serve your guests with this tasty and ready to eat snacks from Bikaner. Low fat and lite snack any time. No artificial flavours are used and prepared under the hygienic conditions. Keep away from sunlight and moisture. • Disclaimer: we are not manufacturer of any food products. We only supply products from original and reputed vendors across India. All products are dispatched directly from the vendor with their original packing and safe guarded by wishvilla’s packing.